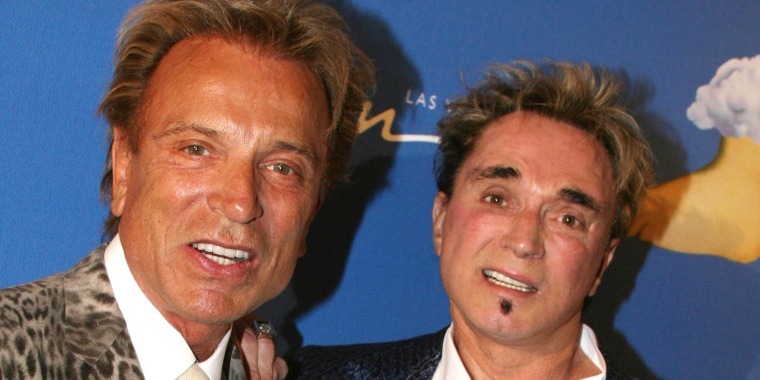 Siegfried and Roy dazzled audiences for years with their elaborate Las Vegas shows, but the performances came to an abrupt halt when one of their famous white tigers attacked Roy during a 2003 routine. A trainer who helped save Roy’s life that night is now speaking out, contradicting what the famous duo has insisted for years and suggesting the pair covered up the real reason behind the mauling. 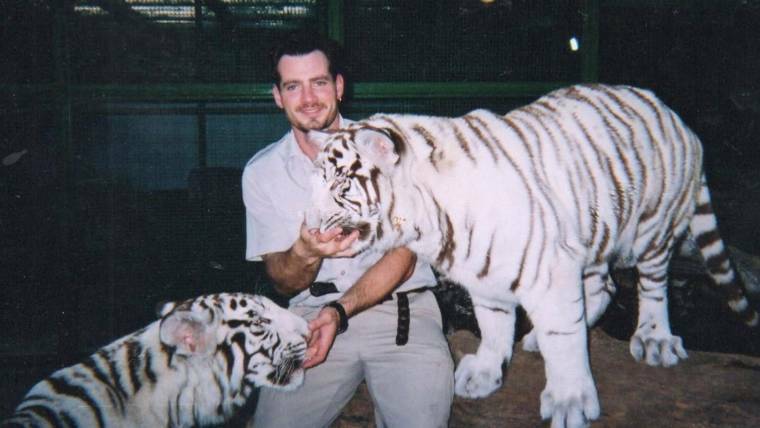 Chris Lawrence had worked his way up with the show, from cleaning cages to ultimately handling its prized Bengal tigers. In an interview with NBC, and as first reported by The Hollywood Reporter,Lawrence suggested that Roy Horn is to blame for the assault the ended the career he shared with his partner, Siegfried Fischbacher. 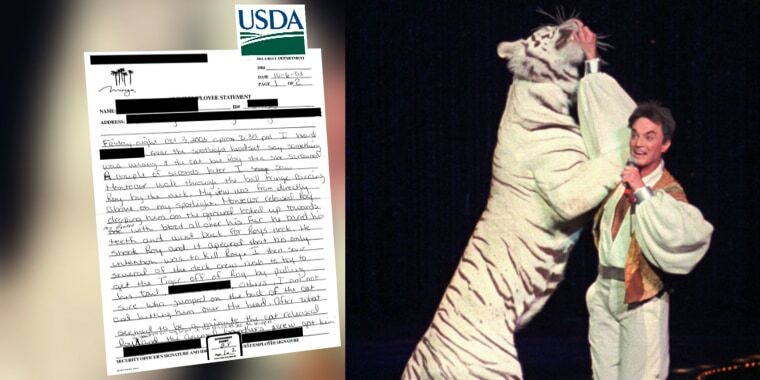 For years, the duo insisted that Roy had suffered a stroke during a performance on Oct. 3, 2003, and that Mantacore, a 400-pound, 7-foot-long striped white male tiger, had realized the performer was in distress and tried to protect him. But Lawrence suggests that Roy had made a critical mistake during the show and agitated Mantacore during the process. “The point I realized that things were kind of going sideways was when Roy turned Mantacore around and he ended up with his face in Roy’s midsection,” he told NBC’s Joe Fryer. Lawrence, who was just a few feet away off stage, said he could see the tiger become confused and irritated before the animal knocked Roy to the ground. Lawrence said he tried to pull Mantacore back, but the tiger threw him off his feet. “I remember vividly thinking, ‘Here he comes.’ There’s no telling me it wasn’t coming for me,” he said. Instead, Mantacore bit Roy in the neck and began dragging him off stage. “At that point, Roy was silent. His eyes were closed. He was just still,” Lawrence recalled.